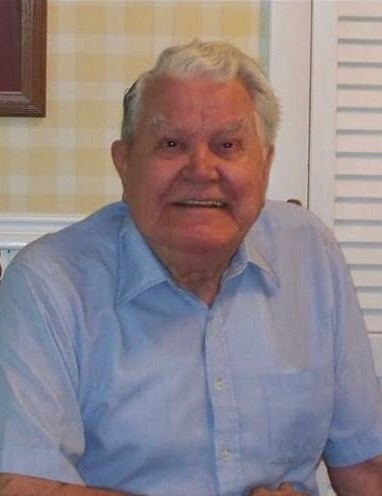 James E. Rogers, 95, of Cromwell, Kentucky passed away Sunday, December 2, 2018 at Ohio County Hospital. He was born September 25, 1923 in Butler County to the late Archie Rogers and Pearl Keown Rogers. Mr. Rogers was a United States Army Veteran of World War II; he worked in construction and was a member of Ohio County Seventh Day Adventist Church. Aside from his parents he was preceded in death by his wife, Claudie A. Rogers; son, Gerald Rogers; great-granddaughter, Courtney Rogers; great-grandson, Joe Lowell Armstrong III; brother, Junior Rogers; three sisters, Margie Morphew, Hazel Coots and Lorene Greer, and daughter-in-law, Katherine Butler Rogers. He leaves behind to cherish his memory a daughter, Lynn (Bill) Burgess of Cromwell; son, James Darryl Rogers of Cromwell; eight grandchildren, Dennis (Jan) Rogers, Denise Rogers (Al) Gleason, Teresa Rogers, Tara Burgess (Joe) Armstrong, Trina Burgess (Mark) Armstrong, Trent Burgess, Sarah Rogers and James “Corey” Rogers; brother, Robert Rogers of Bowling Green; fourteen great-grandchildren; six great-great-grandchildren, and several nieces and nephews. Funeral service will be held at 1:00 P.M. Wednesday, December 5, 2018 at William L. Danks Funeral Home with Dennis Rogers and Pastor Kevin Dunn officiating. Burial will follow in Green River Union Cemetery in Richardsville, Kentucky with full military honors by Ohio County Honor Guard. Friends may visit with Mr. Rogers family from 4:00 P.M. until 8:00 P.M. Tuesday and from 9:00 A.M. until the time of the service Wednesday at the funeral home. The family request expressions of sympathy take the form of contributions to, American Heart Associations, Great River Affiliate, P.O. Box 15120, Chicago, IL 60693 or American Cancer Society, 3140 Parisa Drive, Paducah, KY 42003.